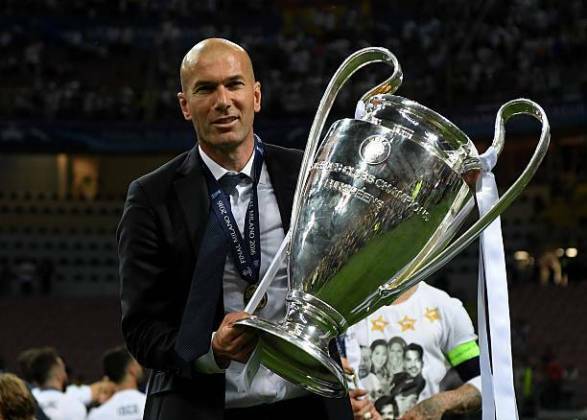 Former real Madrid boss, Zinedine Zidane has revealed the main reason why he returned to Spanish giants, Real Madrid. Zidane resigned after winning the Champions League for three consecutive years at Real Madrid and now he’s back. Zidane returned to replace Santiago Solari and becomes Madrid’s third manager this season, signing a three-year contract until 2022. “I know this is a special day for everyone. I’m very happy to return here and that’s the most important thing. I will be starting work tomorrow to put this club back where it deserves to be. “It’s great to be back – not that I’ve been that far away. “I’ll put everything I have within me to make the team better. “Things are going to change – they need to. But that’s not a priority right now. We have 11 games left, and the idea is to finish the season well. “The first thing that entered my head when I got the phone call asking me to come back? I’ll come back – and here I am. “I don’t have any debt to pay with Real Madrid, I don’t owe the club anything. I’m here because I want to be. “I’ve spent [the last] nine months living here in Madrid, recharging my batteries. Now I’m ready for new challenges with this great club – the club I love,” Zidane told a press conference on Monday night.